This blueprint is designed to guide you through the creation and execution of an inbound marketing plan for your business. Without a clearly defined strategy, your marketing tactics won't be as effective and you'll end up on what I like to call the marketing wheel of fortune, where the money you spend on marketing starts to feel more like gambling than an investment. The best way to avoid this is to start with a clearly defined strategy based on your unique goals. Unlike other marketing and advertising expenses, inbound marketing is an investment that produces compounding results over time. As you create inbound marketing assets like blog posts, landing pages, links and social media followers, they will help you attract traffic, capture leads and convert leads into customers - every day into the future. This blueprint includes exercises you should complete in order to start applying the inbound marketing strategies to your business. Don’t be overwhelmed by the number of steps involved. If you follow our timeline, you should start to see results in 90-180 days. 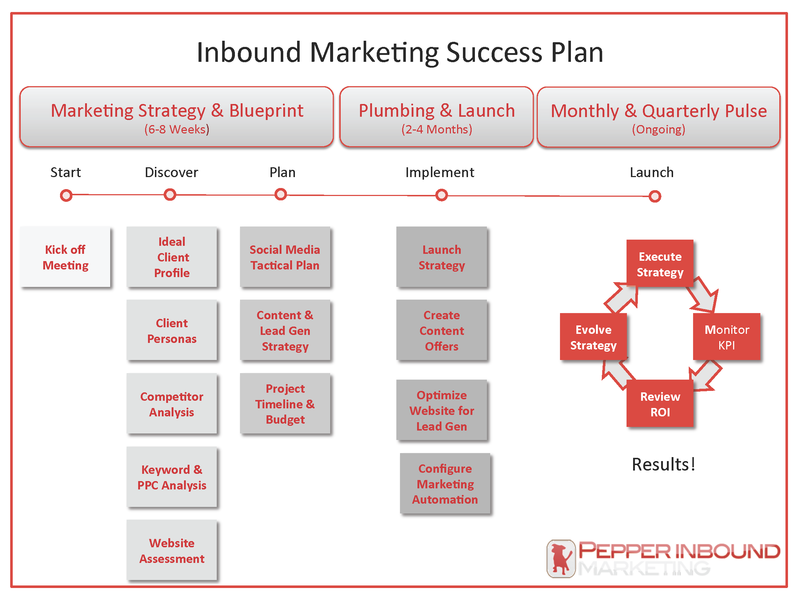 If you’re not sure how to proceed while completing this document, contact Pepper Inbound Marketing for help. Your inbound marketing strategy should be aligned with your business goals for the period. On this page you will find a list of general goals that apply to most businesses. Add any specific goals to the list that aren’t already listed. 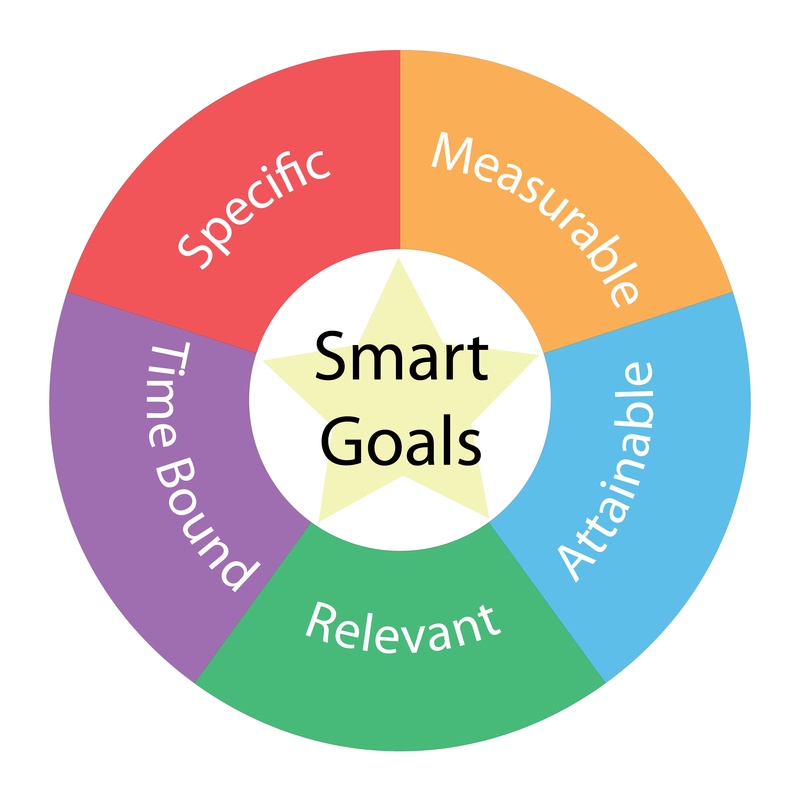 Rank the importance of each goal for your company where 1 is very important and 10 is not important. Also, indicate whether you have a system in place to effectively track your progress as you improve the metrics for each of these goals. In setting your more specific inbound marketing goals of generating additional traffic, leads and sales, you first need to know where you stand currently. Complete the table on this page by estimating your current sales, marketing and website metrics. Since most businesses acquire customers through other channels besides inbound marketing, complete the first column with your key monthly numbers – including all sales and marketing channels. Complete the second column with your website as the key marketing channel. If you do not know the exact answers, just estimate them. Now that you have some base numbers of how your business is performing, download and use the inbound marketing calculator to set realistic goals for traffic leads and sales. The calculator determines your traffic, lead and customer acquisition goals based on your monthly new revenue targets. You’ll plug in your revenue goals and your current stats (from the previous section) into the calculator. The calculator will tell you how much traffic and how many leads you need to generate in order to hit your revenue goals. It’ll also help you evaluate which inbound marketing activities to implement first by letting you vary your lead to customer and visit to customer conversion rates to determine your traffic and lead requirements. For example, if you improve visit to lead conversion rates, you’ll need less traffic to hit your revenue targets: Therefore, it would make the most sense to create more offers, build landing pages and prominently place calls to action on your website in order to convert more visitors to leads. With diligence, it is possible to increase your visitor to lead conversion rate to 5+%. 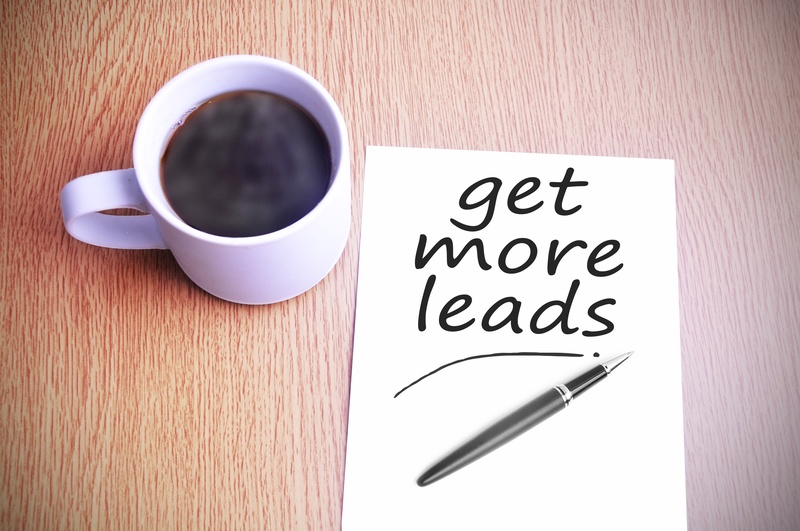 Most websites convert traffic into leads at 1-2%. These traffic, lead and conversion targets will help you decide the appropriate amount of resources (i.e. time and money) to commit to inbound marketing activities. Since inbound marketing is measurable and somewhat predictable, setting goals now will also help you to measure your monthly results against your goals, allowing you to improve key metrics over time. Define the criteria that help you distinguish an ideal client from a so-so or bad one. 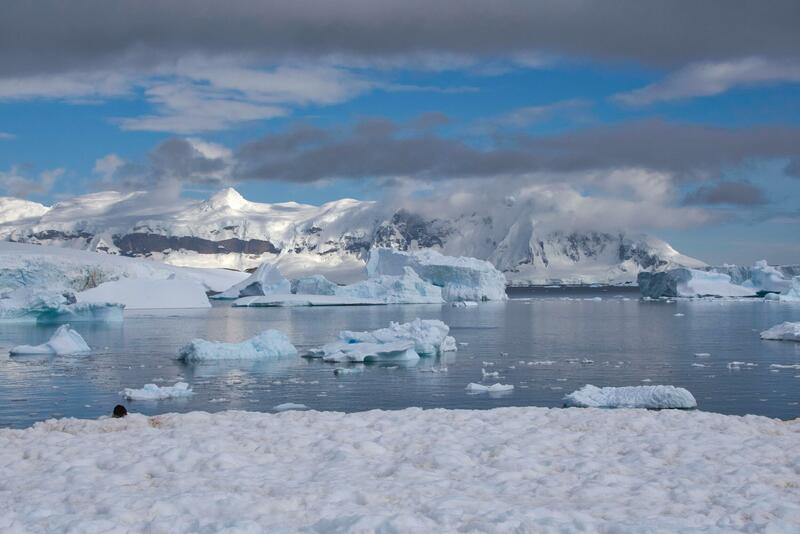 If you market and sell to other businesses, such as through travel agencies. If you market and sell to consumers, define criteria that describe the individual. You may have multiple client profiles that are ideal. If you do not know what these criteria are, you should take educated guesses. Over time, you will be able to refine your profile based on data. Many businesses sell to more than one individual and must deal with multiple influencers and decision makers. It’s critical to attract all of the people involved in the buying decision. For example, if you sell to other businesses, there are usually influencers and decision makers that have typical roles within your client’s company like in-house counsel, chief legal officers, or CEO. List specific details about the person who will likely make the decision to buy your product or service. Create a fictional profile of this person - complete with name, age, gender, family, job, interests, skills, goals, and attitude -- the more detailed the better. What are they experiencing before they seek out your product or service. Are they frustrated? Excited? Happy? Add as many buyer personas as needed. Include information on the decision making process of your buyer personas. How do they shop for your offering? Add as many criteria or descriptors as makes sense. Once you have persona profiles drafted, you should do a reality check by conducting interviews with actual clients to validate the information you've included in the buyer persona. You should review these profiles on a regular basis to make sure that your marketing actions are directed towards the needs and desires of these personas. Where Do You Stand Against the Competition? Gather data about your competitors in order to uncover successful strategies you can emulate as well as how you can beat your competition where they’re weak. Are they are using social media? Is their blog effective? How strong is their SEO? You can run these results using tools from Moz.com or SEMRush.com. Keyword phrases are words that your clients would type into a search engine such as Google or Bing to find your company. These can be very detailed phrases that describe your service or product, or a phrase that describes a problem that your prospects might have. It’s usually better to choose keyword phrases that include multiple words. For example, keyword phrases might contain geographical locations, such as a state or town name. You will use these keywords in a variety of ways on your site, in your blog, and via social media and for your lead generation offers. Once you've brainstormed a set of keywords, you can use Moz.com or SEMRush.com.evaluate which keywords to focus on. The ultimate goal of keyword research is to find relevant keywords that have high search volume, but low competition. You may also choose keywords if you already generate traffic or rank well for them. If you’re having difficulty brainstorming, you can also use the Moz.com or SEMRush.com to help you identify other keywords. You can enter your competitors’ sites or a keyword, and the tool will suggest other keywords to consider. On-Page SEO is done as the website is built and may be modified over time if necessary to improve search engine results. Use the checklist below for guidance as you implement your on-page SEO. Off-page SEO involves getting other websites to link to your website. This is done after the website is live and should be an on-going task. Follow these suggestions as you create your link building strategy. Review web page components to ensure that the keywords are being used in the page title, headings, anchor text, alt text and body copy. Make sure the page title is unique on every page and is 70 characters or less. Your meta-description tag should contain marketing text with keyword phrases embedded. It should be 150 characters or less. Add a Google xml site map. Add HubSpot analytics tracking code to your website for benchmarking statistics. You will review them monthly. Make sure you use keywords in the link text when linking to pages within your own website. There is no magic to SEO. The search engines are looking for the best content to match the search query, and the best way to win at this game is by creating great content. Watch out for SEO tricks and techniques that try to game the system with hidden text, purchased links, or other questionable strategies. While these might work in the short run, they will in the end not get you the quality prospects you are seeking, and may result in Google penalties to your website. Organic ranking is greatly preferred over pay-per-click (PPC) advertising for a couple of reasons. One being that organic ranking is free. Two is that statistics show that people are more likely to click on organic links than advertisements. PPC advertising does have its merits in some cases, such as a recent product launch where you need to get found immediately and don’t have the time to wait for organic results. PPC ads can also be a great way to test out your keywords before implementing search engine optimization for them; you can figure out which keyword phrases perform better using PPC and then use those phrases in your organic SEO strategy. 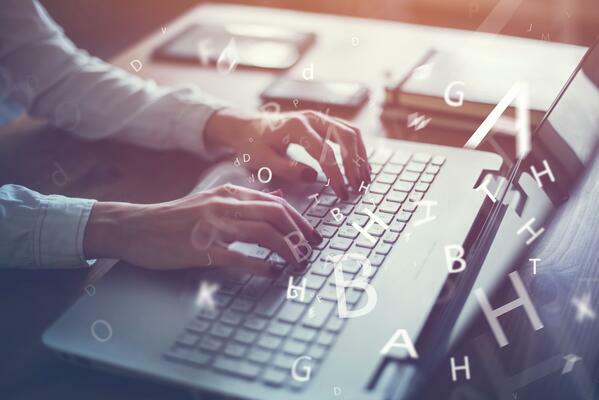 When planning PPC and online advertising campaigns, you should group keywords into campaigns and make sure that your landing pages match your ads and keywords. In other words, ads should include the keywords the user enters into the search engine. Your landing pages should include these words too. Be sure to have good analytics in place, so you can calculate the ROI on each ad campaign and keyword. Over time, you should invest more in campaigns that produce qualified leads and customers and cut budgets for keywords and ads that don’t produce an ROI. Because content is what attracts visitors to your website, this is where most of the work of inbound marketing happens. Frequently adding new content to your website is a critical component to your Inbound Marketing Plan. More content means more opportunity to be found online and getting more pages indexed in the search engines for a wider set of keywords. Building your website using a Content Management System allows you and/or non-technical employees to easily add new content, including new web pages and a blog. Review your website. Are there any pages you should add? Look at your competitors' websites for ideas. Reference the list below to identify what pages you should add, if relevant to your business. List additional pages too. Blogging is an absolutely critical component of helping you achieve inbound marketing success. According to HubSpot data, companies that blog attract 55% more site visitors, 97% more inbound links and 434% more indexed pages. Further, companies that blog achieve 126% more lead growth than companies that don’t. Here’s a checklist of things to do when starting and planning your blogging activities. Host your blog on your company domain. At a minimum, post 1-3 articles per week. Do not promote your products and services in your blogs. Focus your blog posts on your buyer personas and write about their needs and interests. Educate your readers with your blog articles to passively position yourself as an expert. Automatically promote your posts by posting on your social media accounts. In addition to adding new web pages to your site and committing full force to blogging to attract more traffic to your site, you’ll also need to create advanced content in order to convert more of those visitors into leads. Examples of advanced content include webinars, presentations, podcasts, videos, whitepapers and eBooks. Items you’ve already created can be leveraged to help you start generating leads right away. A great way to convert traffic to leads is to offer an item of value (your asset) in exchange for someone’s contact information via landing pages. Landing pages are critical for turning a website into a lead generation tool. What will you offer to entice people to hand over their contact information? Start brainstorming ideas for possible lead magnets. Pay-Per-Click ads, Facebook ads, newsletters, web pages and blogs can all direct traffic to a landing page. You should have a different landing page for each offer, in order to measure its effectiveness. HubSpot data shows that educational and non-promotional offers perform better than those that are strictly promotional. HubSpot customer data also shows that customers with more landing pages produce more leads and convert a higher percentage of visitors into leads. Your initial focus when getting involved withsocial media should be to build relationships, have conversations, and establish connections. Once you have a following, you can share links to your own content via your social media accounts, in order to drive traffic to your website. You should establish a presence on all of the following networks, but should focus your energies on the ones where your buyer personas hang out. In the travel space, we've found the most success with Facebook and Instagram. Tweets should be meaningful and interesting to your buyer personas. Follow others whose tweets are useful and informative, retweet these to your followers and respond to these comments too. Use free Twitter clients (such as Tweetdeck or Hootsuite) to organize who you are following into more meaningful groups. Customize your profile with a catchy headline and an engaging summary. Go to www.facebook.com and create an account. You need to create a personal profile first and then you can add a business page. As with LinkedIn, the more complete your profile is, the more likely you’ll be found by others. Facebook tends to be a little more relaxed and personal than LinkedIn, but you can still connect with colleagues, join common interest groups, engage in discussions & build relationships. Once you have your social media accounts setup, you should start monitoring important keywords like your firm name and practice areas. Then you can begin interacting with the people who mention your keywords. This interaction should lead to traffic, leads and clients if done right. Focus on being helpful and providing resources. Just like blogging, you should work social media into your daily schedule. Add it to your calendar and treat it like a meeting that you absolutely cannot miss. Do Something Every Day! When you create a new blog post, tweet about it! Comment on someone else’s blog. When you attend a live networking event, follow up with someone you met by connecting with them on LinkedIn or Facebook. Post a photo if possible, as photos help drive engagement. Read any interesting blog articles? See a good video on YouTube? Tweet about it. Share it on LinkedIn or Facebook. Post a question or answer one. Send simple email campaigns to your opt-in list. Each email should be about one thing. Segment your leads according to criteria that makes sense for your company, based on interests. Use lead nurturing workflows to automatically send a sequence of emails to send to new leads. Keep emails or newsletters concise – with links to larger bodies of content on your website or blog. Ideally, promote new offers and landing pages to get your email subscribers to raise their hand and opt-in. Create valuable newsletter content keeping in mind your business goals and your buyer personas. Create calls to action in your emails that drive traffic to your landing pages. Make sure the “From” name is one your audience will recognize. Use attention getting subject lines. Test, test, test. Measure click through rates to determine how effective your content and offers are. 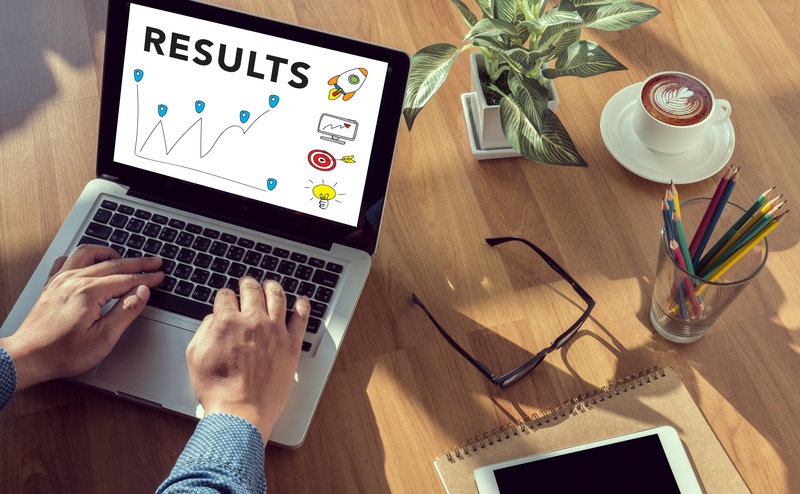 There are many statistics that you can measure over time to determine how successful your Inbound Marketing Strategy is, and how to improve your results. You should be checking your analytics at least monthly and much more frequently when you are tweaking and improving ongoing activities or campaigns. Probably the most valuable measure of success is your conversion rates. Your conversion rates indicate the number of visitors to your website that became leads and the number of leads that became customers. You should measure conversion rates and overall numbers from each traffic source including SEO, blogging, social media, PPC and email marketing. Then, you should evaluate which activities to continue, tweak or stop based on what’s working and what’s not, as well as what can most easily be improved. Inbound marketing requires skills that you or your organization may or may not possess. Your organization may also need to develop new skills. 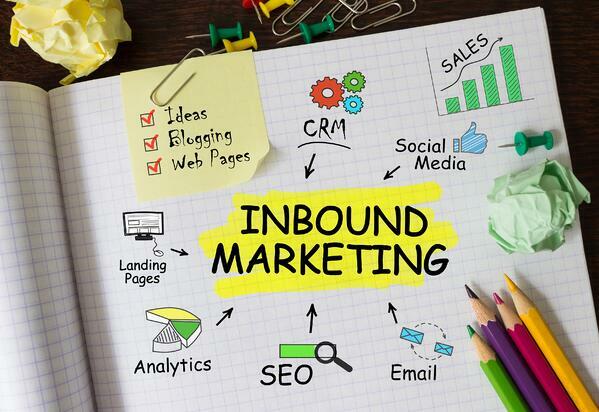 You may be able to achieve your sales and marketing objectives more effectively by outsourcing certain tasks, hiring an inbound marketing agency to do inbound marketing for you, or hiring consultant to guide you as you do the work. In order to effectively do inbound marketing, software is necessary. There are a variety of solutions for each of the capabilities listed below. An integrated toolset that provides all of the capabilities below will enable you to most effectively and efficiently execute your inbound marketing strategy. 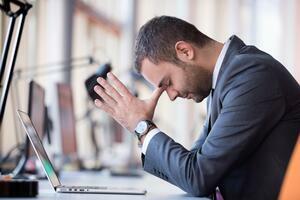 Inbound marketing is not a quick fix, but it can create amazing results over time. Just ask SafetyPro Resources, LLC, who has grown their business using inbound marketing. You can download the case study here. Or Roux Luxury Travel, who's been using inbound to generate high quality leads for their travel agency. While this blueprint sets out some of the primary steps, it's not customized for your unique business challenges. Every business is different, and your inbound marketing plan needs to be designed specifically for your company. It's also important to do the analysis to determine if inbound marketing is the right strategy for your business, and if the return on investment is there to make it a worthwhile strategy for you. So, here's my offer to you. 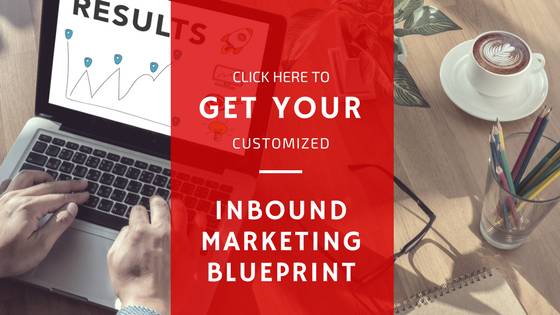 I'd like to help you develop your own inbound marketing blueprint, customized for your company's goals. I know a certain percentage of people I do this for will want me to implement their inbound marketing plans for them. But rather than try to convince you of how great that would be, I figured I'd just demonstrate that I can help you by …actually helping you. I've set aside some time to personally review your business, your offer, and your current sales process. Next, we'll work with you to determine your sales goals, how many leads you want to get, and what you want your lifetime revenue per client to be. Based on what you tell us, we'll design a customized inbound marketing plan for your business. The first possibility is you love the plan, you immediately see the power and the potential it has for your business, and you decide you want to build the system yourself. If that's the case, great! I'm happy we could help and I wish you the best of luck. The second possibility is you love the marketing plan and you'll want us to implement the entire system for you. You’ve got to have a business that’s generating revenue of at least $3 Million per year. Lead Generation is one of the primary objectives of your website. If you'd like to move forward and request a free customized inbound marketing plan for your company, please fill out the form below.